MENUMASTER is, together with AMANA COMMERCIAL, a brand of ACP Inc in Cedar Rapids, Iowa. 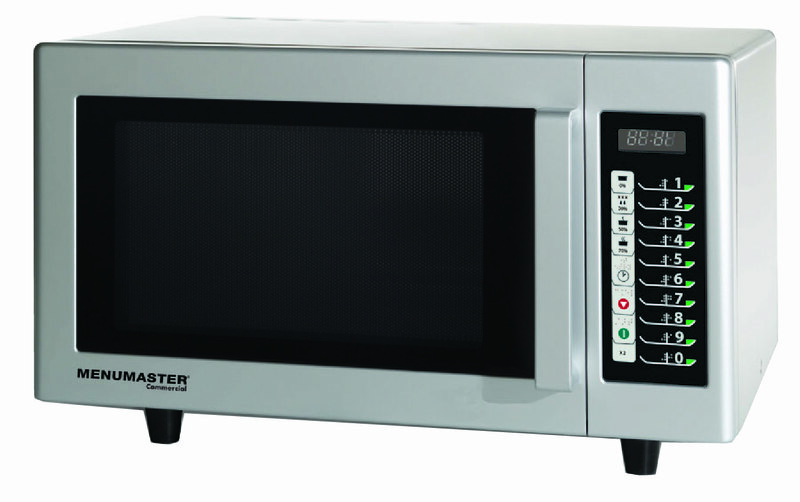 It is a world leader in commercial microwave ovens. It belongs to the international ALI group of companies specialized in the catering and food production industry. ELIONA is a company of the Belgian Van Assche group in Vilvoorde, Brussels. The family has been distributing AMANA microwave ovens since 1969. First, during the pioneering years, only in Belgium. From 1979 on in France and since then in many European countries. The current microwave ovens was the distant result of Anglo-American collaboration at the beginning of the second world war. De heart of the product, the magnetron, had been developed by British engineers and scientists when they built a RADAR early warning system around the British coasts. As a tradeoff for military collaboration, de RADAR Magnetron was brought to the US in order to have it miniaturized and built into airplanes on a massive scale. This was achieved by an American engineer, Percy Spencer, who worked for Collins Radio and later for RAYTHEON in Boston. In 1947 he had discovered that the microwaves generated by the magnetrons could be used to heat food. By 1954 he had developed the first commercial RADARANGE.